With years of experience in the respective domain, we are engaged in Carbon Steel Billet. We are a leading name in the industry engaged in offering a wide range of Carbon Steel Billets. These Billets are well-known for their durability and dimensional accuracy. We procure high grade raw material from reliable vendors to manufacture the products at par with set industry standards. We have been counted amongst the most trusted names in this domain, engaged in providing Carbon Steel Billet. 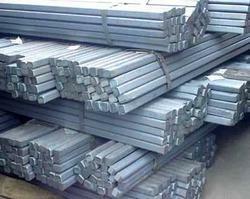 - Grades suitable for making Rebars - SAE 1015, JIS G4051 GR S20C, S45C Grade, etc. - Grades suitable for making Wire Rods & Strips - SAE 1008, SAE 1010, etc. - Sizes : Ranging from, 65X65 mm to 200X200 mm. - Steel can be ordered with restricted sulphur and phosphorous supplied on mutual agreement. - 100 X 100 sq. mm. - 110 X 110 sq. mm. - 125 X 125 sq. mm. We are providing our clients a high quality range of Carbon Steel Billets at the economic prices. These billets are available in the set standards made of high quality mild steel. We are also offering our range in the complete customized form according to the client's specific requirements. All Grade Of Alloys / Carbon & Stainless Billets, Wirerod & Bars In Prime As Well As Secondaries. 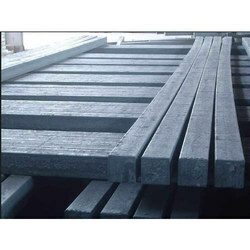 Our organization instrumental in providing excellent quality Carbon Steel Billets. It is available in various designer patterns and designs. It is manufactured by our highly experienced professionals using premium quality raw material. It have features like higher strength, excellent pressure tightness and excellent conduction towards heat and electricity. Furnace: The capacity of our induction furnace is 25Mt. The furnace is lined with silica ramming mass. Scrap: We are using imported shredded scrap HMS, M.S.Borings, Local Scrap and Sponge Iron. Caster has design range of producing 80 Sq mm to 200 Sq mm. Generally 100 Sq mm and 130 Sq mm are produced. At SEML, billets are produced using continuous casting process.